The Five of Hearts, who first gathered in Washington in the Gilded Age, included Henry Adams, historian and scion of America's first political dynasty; his wife, Clover, gifted photographer and tragic victim of depression; John Hay, ambassador and secretary of state; his wife, Clara, a Midwestern heiress; and Clarence King, pioneering geologist, entrepreneur, and man of mystery. They knew every president from Abraham Lincoln to Theodore Roosevelt and befriended Henry James, Mark Twain, Edith Wharton, and a host of other illustrious figures on both sides of the Atlantic. 1.How would you describe each of the personalities of the five figures - Henry Adams, Clover Adams, John Hay, Clara Hay, and Clarence King—who made up the Five of Hearts? What elements account for their unusual cohesiveness as a group? 2. Mark Twain remarked of John Hay: “The presence of such a man in politics is like a vase of . . . roses in a glue-factory—it can’t extinguish the stink, but it modifies it.”How does Twain’s remark stand up in the context of Hay’s political career under Presidents Lincoln, McKinley, and Roosevelt? 3.How might Clover Adams’s frustrations as an intellectual in an era that did not offer women equal opportunities have contributed to her untimely demise? What role (if any) do you think her husband, Henry Adams, played in her depression? 4. 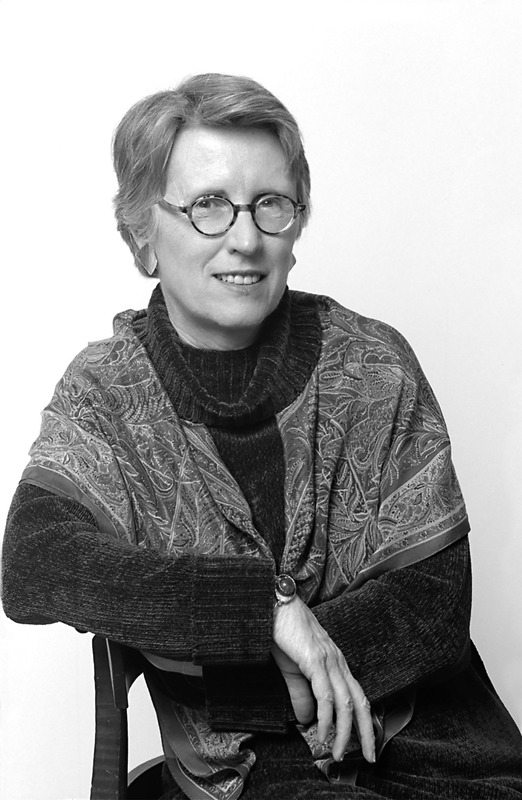 In her preface,Patricia O’Toole writes: “A biography of a circle of friends is doubly rewarding . . . since it allows us to touch their hands and to see how they held out their hands to each other.” What do the ways the members of the Five of Hearts reached out to one another in times of need suggest about their connection? 5. What roles do secrets play in the lives of the Five of Hearts? Consider the anonymous authorship of Democracy and The Bread-Winners, Clover’s mysterious nervous breakdown in Egypt, the clandestine aspects of Hay’s relationship with Nannie Lodge, Adams’s feelings for Elizabeth Sherman Cameron, and the hidden marriage of Clarence King. 6. The Five of Hearts reveals a great deal of the private lives of public figures through excerpts from their letters. How would you characterize the relationship between Henry Adams and Elizabeth Sherman Cameron as expressed in their correspondence? 7. What do you think explains Henry Adams’s fascination at various times with Buddhism, agnosticism, and the Virgin Mary, and how does this spiritual exploration play out in his writing? 8. What do you think shaped Clarence King’s attitudes about race and gender, and how might these factors have affected his decision to conceal his secret identity and his common-law marriage to Ada Todd King? 9. In their domestic and professional preoccupations, what qualities of the Five of Hearts define them as quintessentially American? How do their activities suggest the level of their commitment to their nation’s development? 10.To what extent do you think that the intimate friendships that developed among the Five of Hearts would be possible in today’s world? Why might some aspects of life in the Gilded Age have made so many of these connections possible? 11. The Five were worldly and considered themselves broad-minded, yet they were blind to many of the injustices and stereotypes of the day.Why? And what do you think our descendants in the twenty-second century will see as our blind spots? 1. Visit www.sgnhs.org to view the poignant memorial at Rock Creek Church Cemetery that Henry Adams commissioned in honor of his wife, Clover, and to learn more about the sculptor, Augustus Saint-Gaudens. 3. Visit www.nps.gov/adam/ to see the home of Henry Adams’s presidential forebears, John Adams and John Quincy Adams. 4. 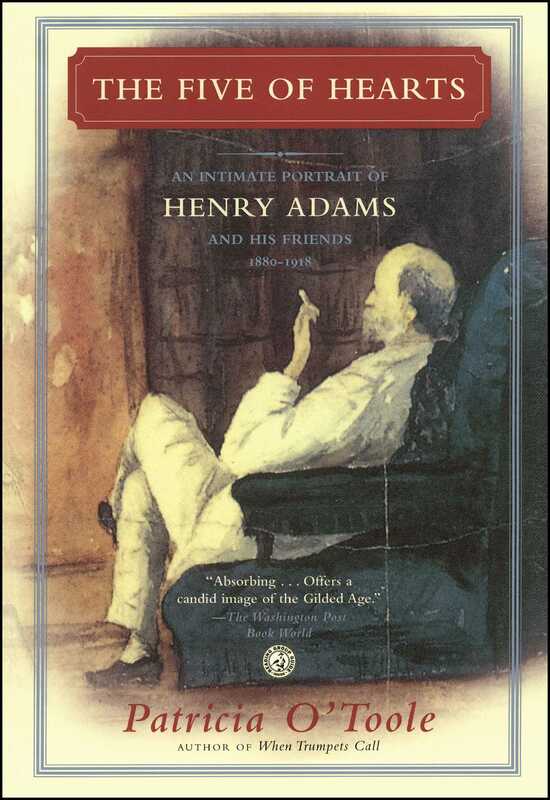 Read The Education of Henry Adams and compare his account of his life (and Hay’s and King’s) with the account given in The Five of Hearts.